Home Security Censorship. Decentralize. Safeguard your content! Diversifying your online presence is a simple strategy to bypass censorship and safeguard your content. You cannot log in. You cannot access your friends list or your groups. Your photos, videos, posts, and messages are all unavailable. There is no way to figure out why because there is no way to contact Facebook — you cannot call, text, email, or otherwise speak to any employee of Facebook. You must visit their “Help Center” to troubleshoot problems with your account. 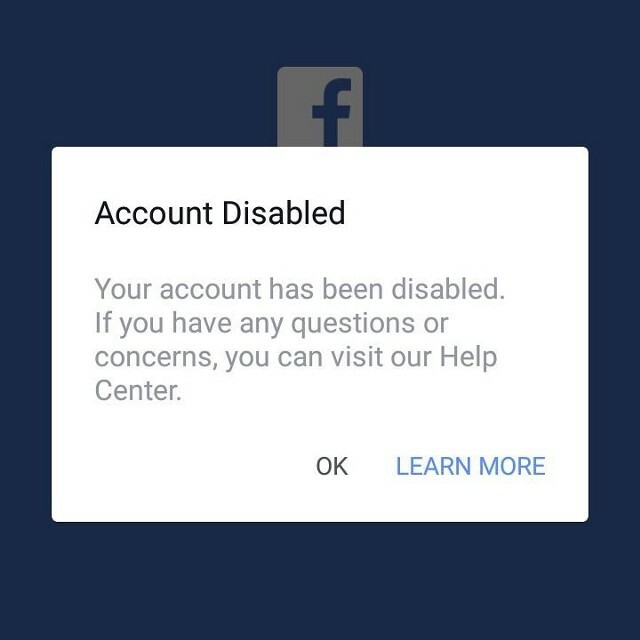 Facebook operates using AI programs and when they flag your profile or your content, the reason does not need to be legitimate or even accurate. There is no reliable way rectify the situation or seek restitution because Facebook owns all of your content and can do whatever they want with it, even delete it. If you have never experienced censorship first-hand, then you may not be particularly concerned about this happening to you yet. Maybe you don’t post much controversial content. On the other hand, you may be a seasoned political activist or independent journalist who is all too familiar with the relentless crackdown on dissenting voices. In any case, you should care about this issue even if you are not concerned about your own personal data and how it may be used. Free speech and the free exchange of ideas is essential to a healthy democracy. The electorate requires uncensored access to information in order to make knowledgeable and enlightened decisions. Speaking freely, listening, and allowing opposing viewpoints to be heard is necessary for societal advancement and scientific progress. Every push for change that has occurred throughout history began as a thought which grew into an idea, and the most effective way to defeat bad ideas is by spreading good ones. This will happen naturally as long as we collectively facilitate respectful public discourse. Furthermore, if you consider yourself a responsible voter then you have a moral imperative to seek out different perspectives in order to form well-rounded opinions. Hence it is vital to follow independent media for access to information and events that mainstream media will not cover. This fundamental right of expression is being infringed upon. Dissenting political voices continue to be systematically silenced though various methods of suppression. It doesn’t end there. National tragedies are used to manufacture consent for the further curtailment of rights as well. Florida Sheriff Scott Israel recently went on national television to lobby the public for extending the Baker Act, which would grant law enforcement the authority to involuntarily detain you and take you to a mental health facility for examination without your consent. This can be based on the completely subjective interpretation of a police officer. This might sound good on paper, but frankly it is useless in the hands of our inept leadership. The Baker Act is already in effect in the state of Florida yet no action was taken to stop the most recent school shooting after law enforcement was made well aware of the shooters violent tendencies. Even government agencies like the DEA and IRS can collect, store, and access information from companies like Facebook and Twitter, and there is no formal process requiring probable cause to get a court order or justify the reason they want this information. As a society we are generally able to come to some consensus that certain privileges can be sacrificed for the greater good, but only if we are receiving some level of security in return. In actuality that security simply isn’t achieved. What sense does it make to give away more freedoms in exchange for protection that is not offered by these agencies? We must stand against the unconstitutional usurpation of our liberties as they threaten our fundamental right to freedom of expression. The internet now serves as a medium of communication between billions of people around the world, therefore it is imperative that freedom of speech be extended to online platforms. Currently, activists and dissenters are being targeted for censorship. 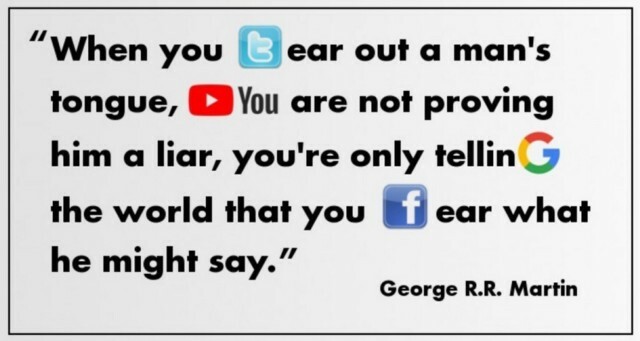 It’s easy to brush off an incident or two as coincidence, but when you consider all of the tactics combined— demonetization, live feeds cut, comments marked as spam, profiles disabled, posts deleted, buried by algorithms, shadow banned— it becomes clear that the intention is to suppress free speech. Combating this suppression is an urgent necessity. I have a solution. We must decentralize communication and create accounts across multiple platforms. It is far too easy to censor one single outlet and delete your individual profile. Having several will enable us all to build a larger web of communication as well as back up information that may be deleted. Assembling multiple diverse media networks which offer a variety of content from independent creators will provide robust alternatives to mainstream media. It cannot be stressed enough — it is absolutely paramount for every person to categorically reject corporately-funded propaganda, as it is intended to advance agendas of special interest groups at the expense of the well-being of working class Americans. Do not trust or share media content that is created or funded by any organization with conflicts of interest. Instead, support the plethora of independent underground news outlets available. – “I don’t have the time.” This is the most common objection that I come across. I completely understand the sentiment, and fortunately this strategy is not time-consuming! Most of the popular platforms make it very fast and easy; they want you to sign up. Unless you are trying to monetize your channel or set up online banking, then it is a very quick process. You can log in as often or as little as you like. Some people hardly ever log into their alternate account — they just keep it around to back up their data and contacts. Some people use it a bit and find that they really like it. Who knows? In either case, it is better to have it than not. – “I can’t afford to maintain paid websites.” It does not cost any money and it won’t take much work at all, just a bit of typing. While there are paid options available for anyone interested, there are also many free options that you can utilize for everything including blogging, video hosting, and social media alternatives. – “I tried it and didn’t like it.” You may not like every platform you try. That’s okay. You don’t have to like the it to have an account open. The purpose of strengthening our communication network is not for fun and entertainment, it is to stand up for our right to free speech — to freely exchange knowledge without obstruction and to stay up to date with organizers regarding activism. To accomplish that we need to actively circumvent online suppression and it will not always be particularly enjoyable. – “It will take too long to grow other sites.” The thing about fads is they can happen very rapidly. The social networking giant MySpace was overtaken by Facebook in April of 2008, and then peaked in December of the same year. It never recovered and membership has since declined. The tightening restrictions of today’s corporate behemoths like Facebook and Twitter are driving users away and making another shift inevitable. In January of 2018, a financial report revealed that Facebook’s user count declined for the first time ever. “It’s not popular because people don’t do it because it’s not popular because people don’t do it…” This is circular reasoning. It will happen when we make it happen, and the good news is the trend has already begun. You cannot rely on any corporately-controlled media platform to advertise grassroots events or voice controversial opinions. You must branch out. Google censors search results by deranking certain websites and news articles. Twitter suppresses hashtags and shadowbans tweets. YouTube removes videos and demonetizes channels. Facebook marks content as spam, disables, and deletes accounts for subjective reasons. All of these common internet tools (which are used by the vast majority of Americans) have been engineered to be an obstacle to free information access. The time has come to ditch conformist monopoly media. As avenues of expression are increasingly obstructed, peaceful alternatives to violence will get ever fewer. This is why we must boldly and relentlessly defend this invaluable freedom.